Currently for one ton PVC produced in China: 1.2 kg of HgCl 2 catalyst consumed on average (as 11% of HgCl 2 content). 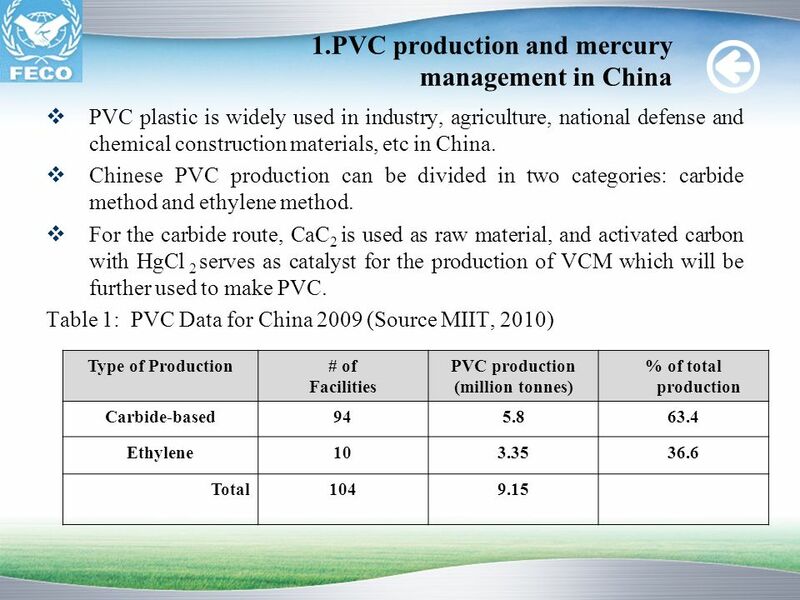 For 5.8 million tons of PVC produced in 2009, around 7000 tons of mercury catalyst used, comprising: 770 tons of HgCl 2 and 570 tons of mercury were used (MIIT, 2010) Carbide-based PVC production consumes around 60％ of China’s total annual mercury use. 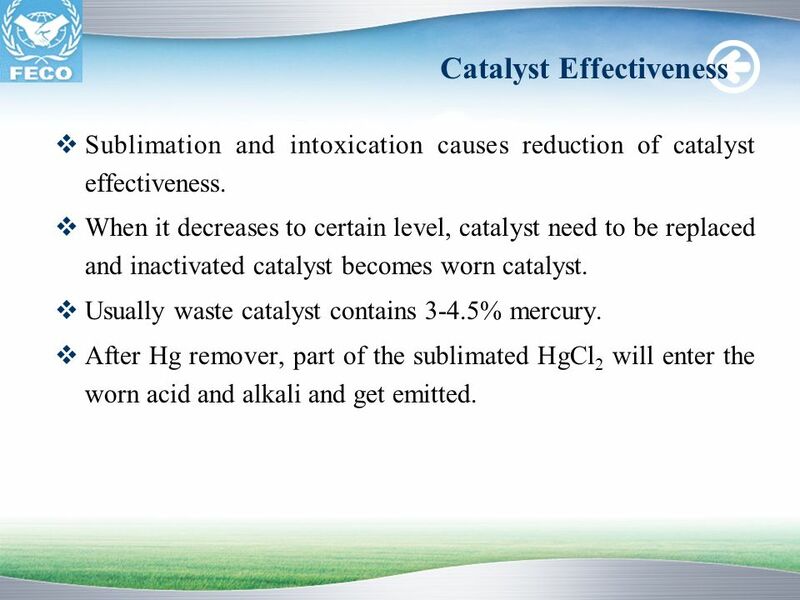 Sublimation and intoxication causes reduction of catalyst effectiveness. When it decreases to certain level, catalyst need to be replaced and inactivated catalyst becomes worn catalyst. Usually waste catalyst contains 3-4.5% mercury. After Hg remover, part of the sublimated HgCl2 will enter the worn acid and alkali and get emitted. 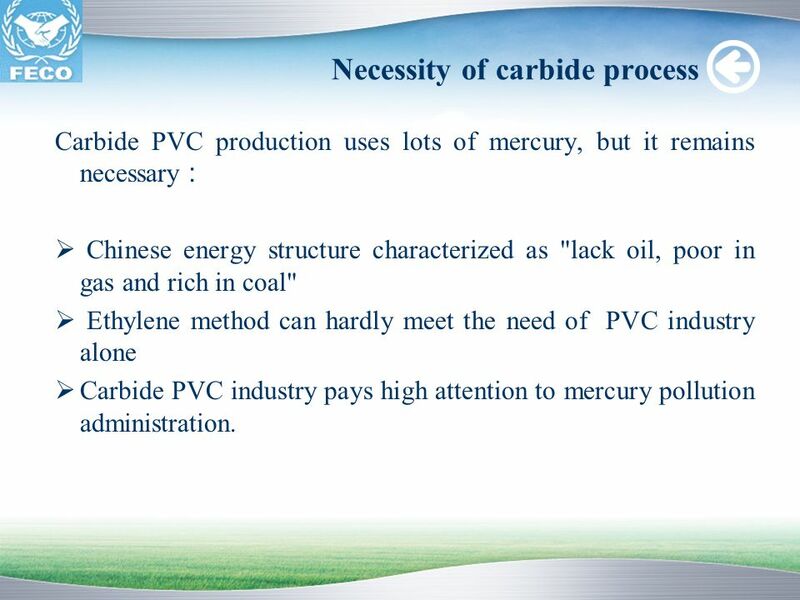 Carbide PVC production uses lots of mercury, but it remains necessary： Chinese energy structure characterized as "lack oil, poor in gas and rich in coal" Ethylene method can hardly meet the need of PVC industry alone Carbide PVC industry pays high attention to mercury pollution administration. 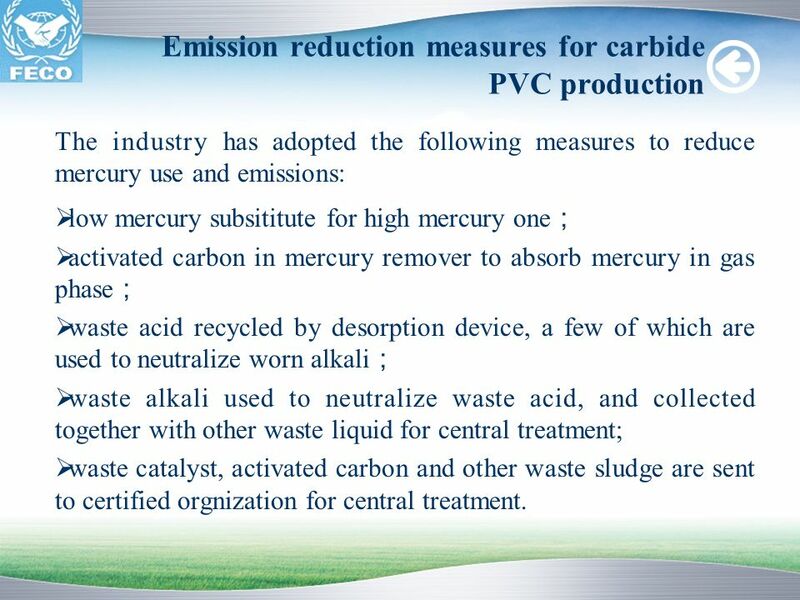 The industry has adopted the following measures to reduce mercury use and emissions: low mercury subsititute for high mercury one； activated carbon in mercury remover to absorb mercury in gas phase； waste acid recycled by desorption device, a few of which are used to neutralize worn alkali； waste alkali used to neutralize waste acid, and collected together with other waste liquid for central treatment; waste catalyst, activated carbon and other waste sludge are sent to certified orgnization for central treatment. 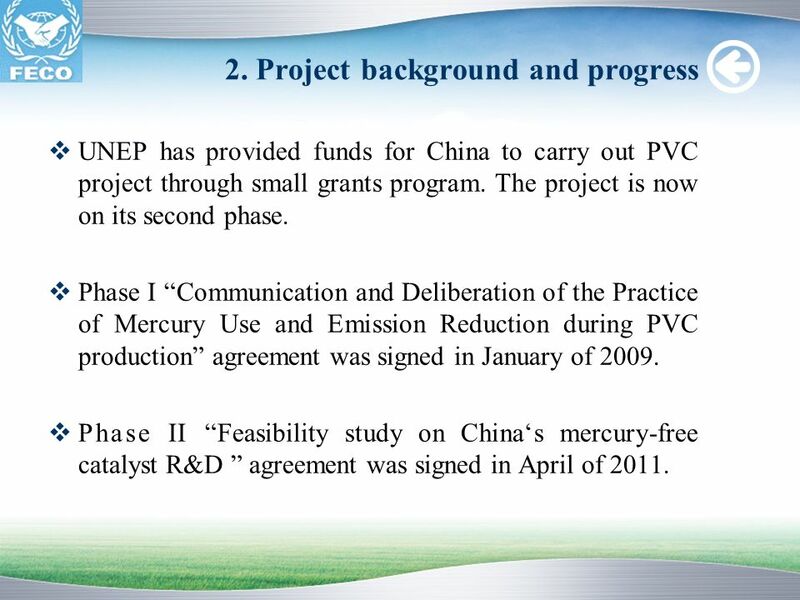 UNEP has provided funds for China to carry out PVC project through small grants program. The project is now on its second phase. 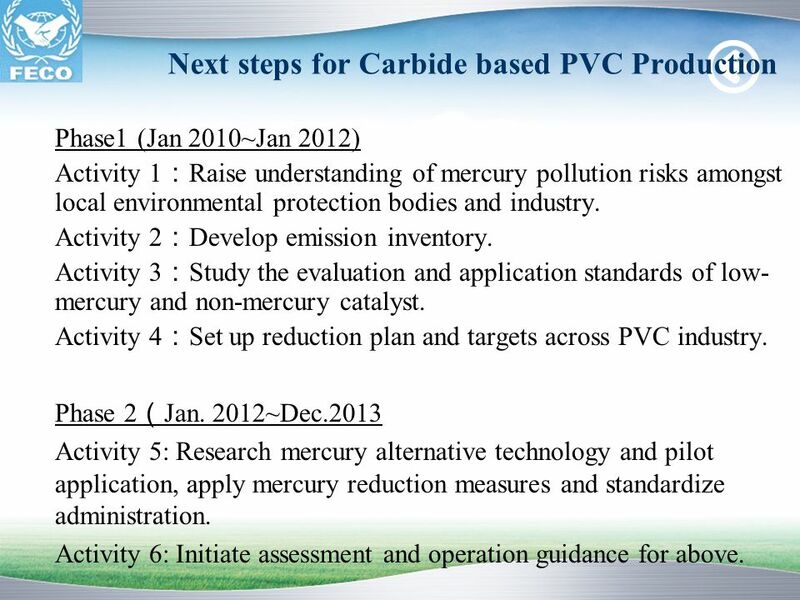 Phase I “Communication and Deliberation of the Practice of Mercury Use and Emission Reduction during PVC production” agreement was signed in January of 2009. 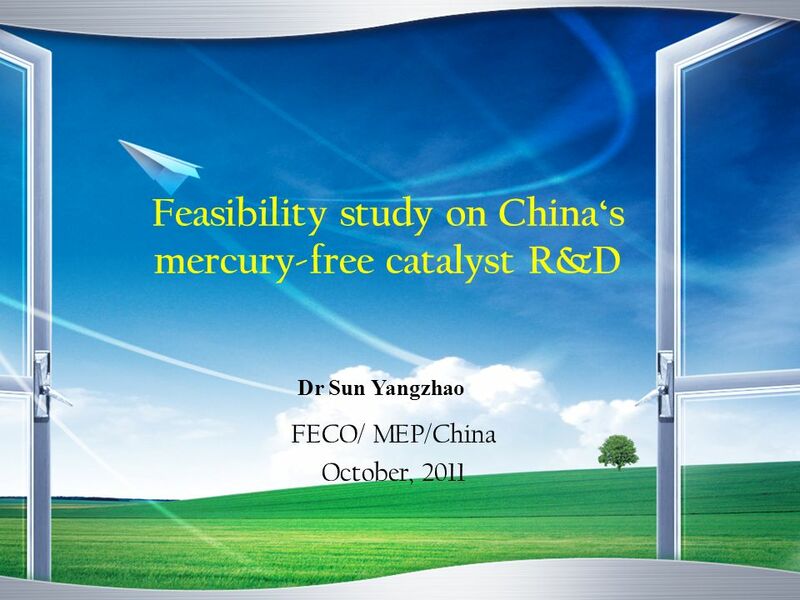 Phase II “Feasibility study on China‘s mercury-free catalyst R&D ” agreement was signed in April of 2011. 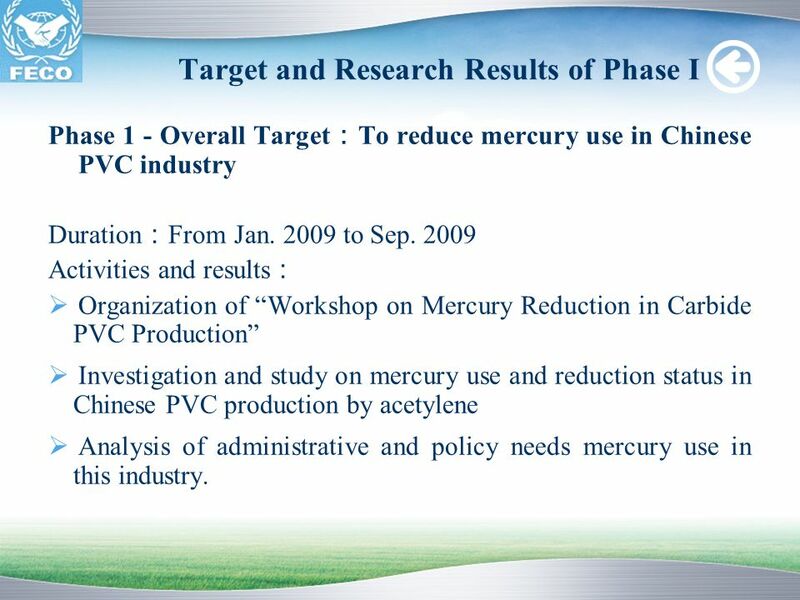 Phase 1 - Overall Target：To reduce mercury use in Chinese PVC industry Duration：From Jan to Sep. 2009 Activities and results： Organization of “Workshop on Mercury Reduction in Carbide PVC Production” Investigation and study on mercury use and reduction status in Chinese PVC production by acetylene Analysis of administrative and policy needs mercury use in this industry. 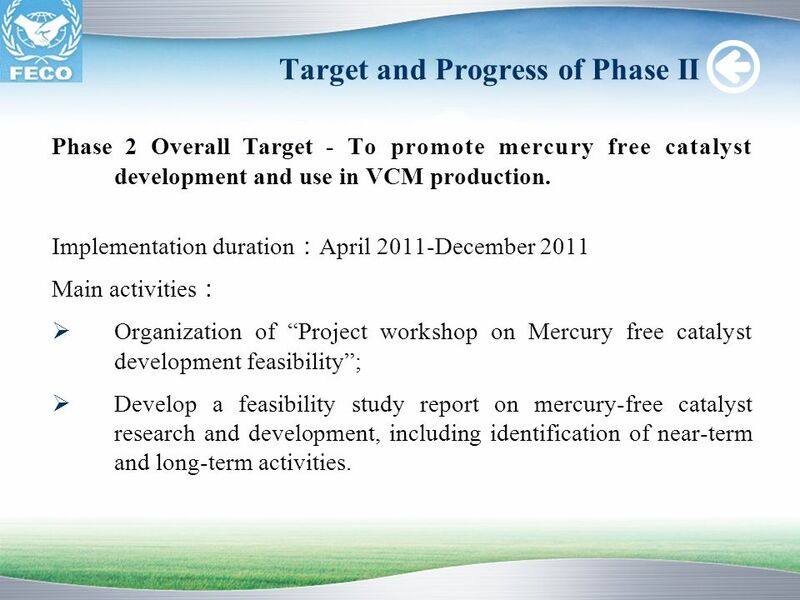 Phase 2 Overall Target - To promote mercury free catalyst development and use in VCM production. Implementation duration：April 2011-December 2011 Main activities： Organization of “Project workshop on Mercury free catalyst development feasibility”; Develop a feasibility study report on mercury-free catalyst research and development, including identification of near-term and long-term activities. 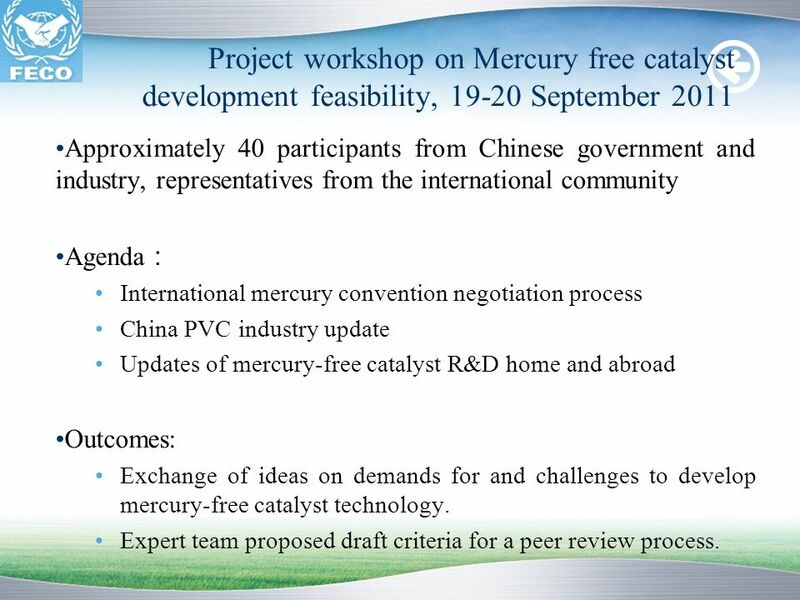 Approximately 40 participants from Chinese government and industry, representatives from the international community Agenda： International mercury convention negotiation process China PVC industry update Updates of mercury-free catalyst R&D home and abroad Outcomes: Exchange of ideas on demands for and challenges to develop mercury-free catalyst technology. Expert team proposed draft criteria for a peer review process. 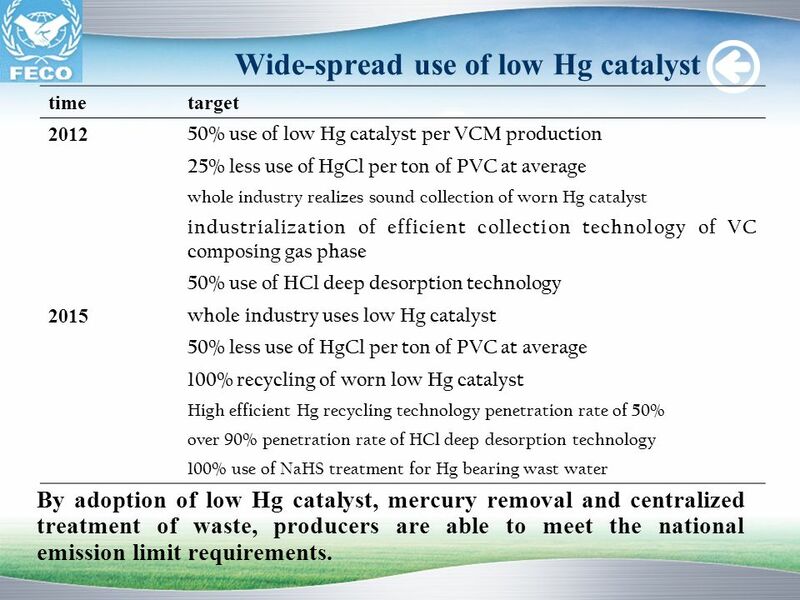 time target 2012 50% use of low Hg catalyst per VCM production 25% less use of HgCl per ton of PVC at average whole industry realizes sound collection of worn Hg catalyst industrialization of efficient collection technology of VC composing gas phase 50% use of HCl deep desorption technology 2015 whole industry uses low Hg catalyst 50% less use of HgCl per ton of PVC at average 100% recycling of worn low Hg catalyst High efficient Hg recycling technology penetration rate of 50% over 90% penetration rate of HCl deep desorption technology 100% use of NaHS treatment for Hg bearing wast water By adoption of low Hg catalyst, mercury removal and centralized treatment of waste, producers are able to meet the national emission limit requirements. 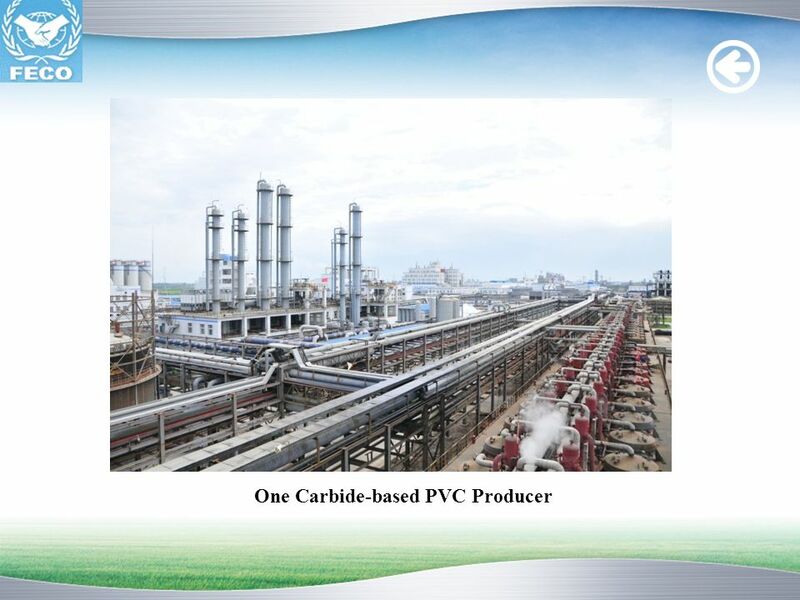 Currently, carbide PVC producers are working with research institutes on following research: to carry out acetylene VCM fluidized bed technology, i.e. mercury-free catalyst, supportive process, reactor. catalytic system of hydrogen chloride of acetylene to produce VCM; R&D of gas-liquid mercury-free catalyst. 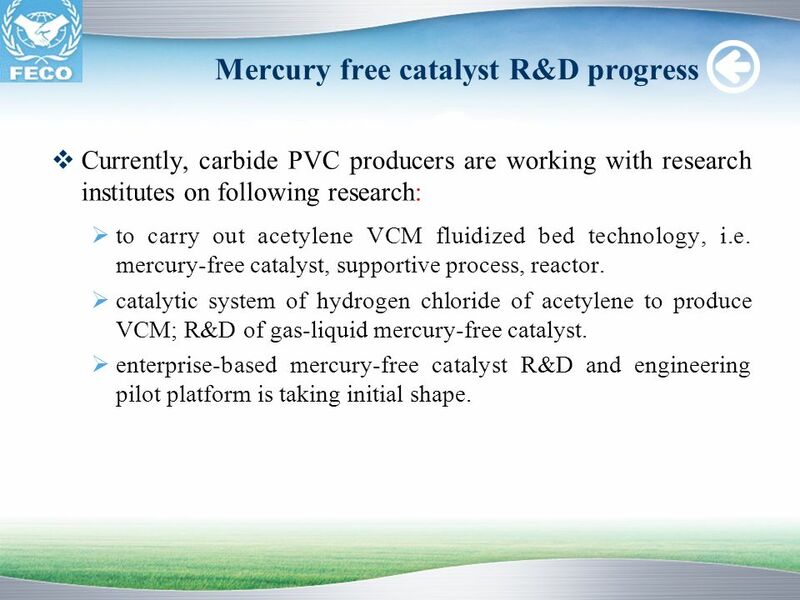 enterprise-based mercury-free catalyst R&D and engineering pilot platform is taking initial shape. 2007 – Industry restructuring directory list (2007) specifies HgCl2 catalyst under restricted category. Encourages oxychlorination of ethylene to replace carbide method； For new, modified or expanded PVC installation must reach the scale of over 300,000 tons a year. 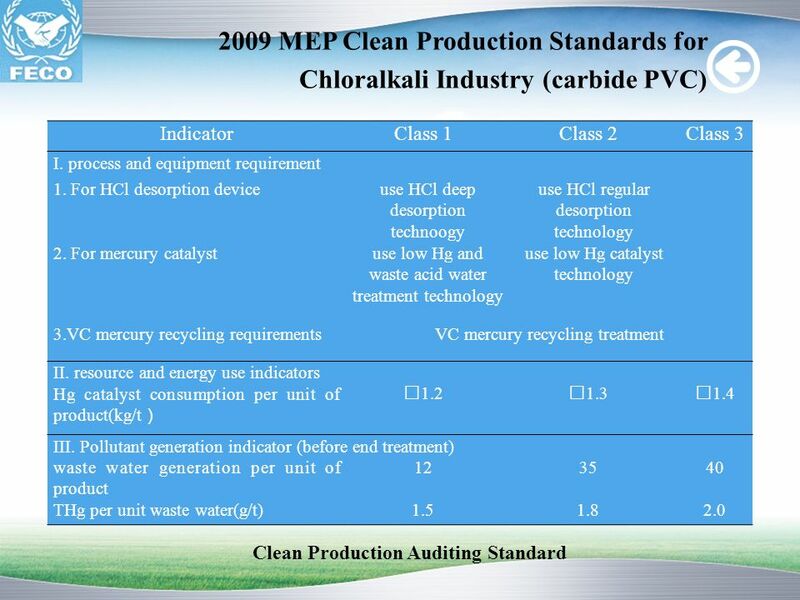 2009 – MEP released clean production standards for chloralkali industry (carbide PVC), which specifies technological requirements to produce VCM in a clean manner. 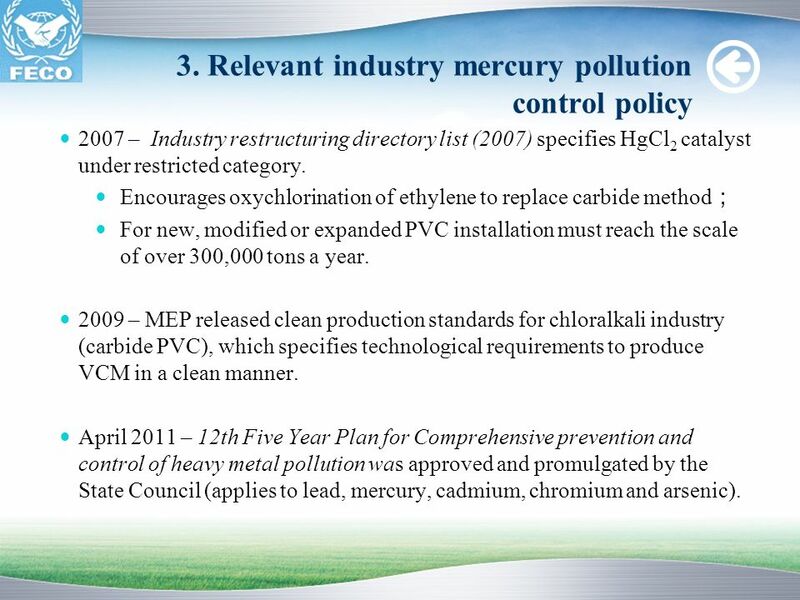 April 2011 – 12th Five Year Plan for Comprehensive prevention and control of heavy metal pollution was approved and promulgated by the State Council (applies to lead, mercury, cadmium, chromium and arsenic). 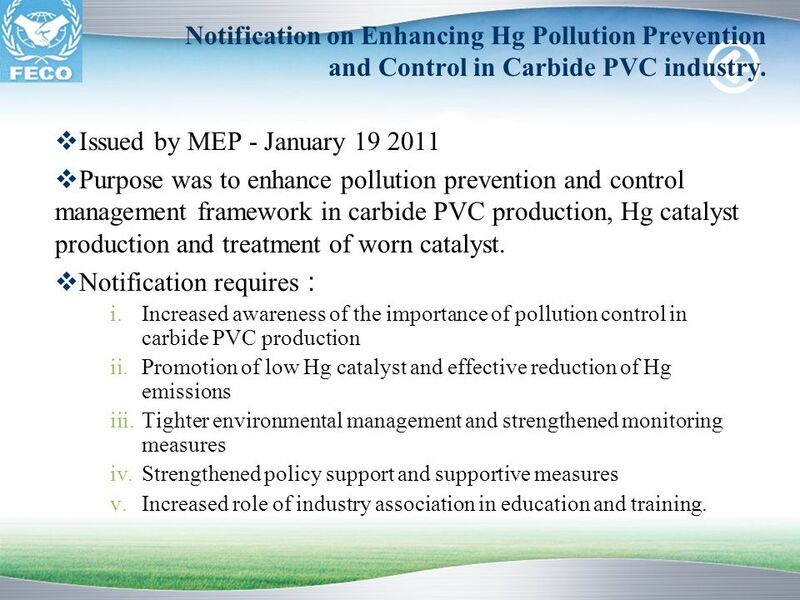 Notification on Enhancing Hg Pollution Prevention and Control in Carbide PVC industry. 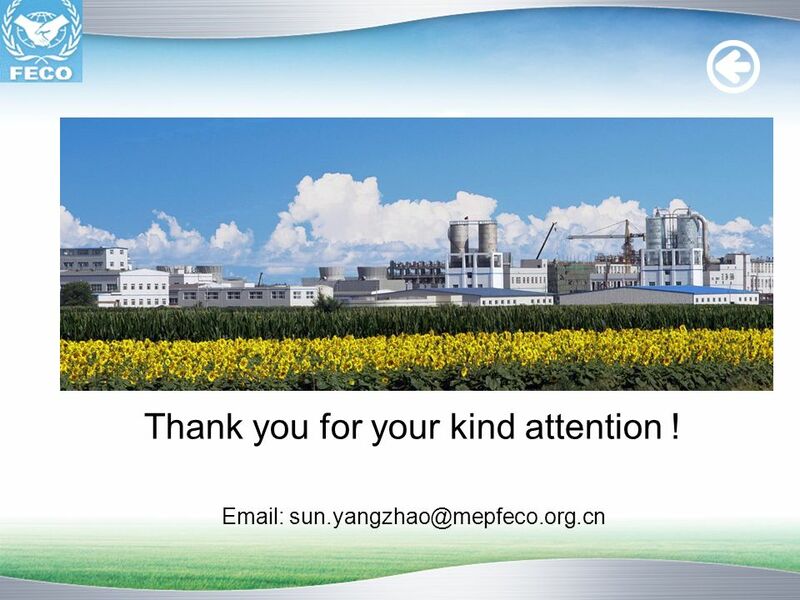 Issued by MEP - January Purpose was to enhance pollution prevention and control management framework in carbide PVC production, Hg catalyst production and treatment of worn catalyst. 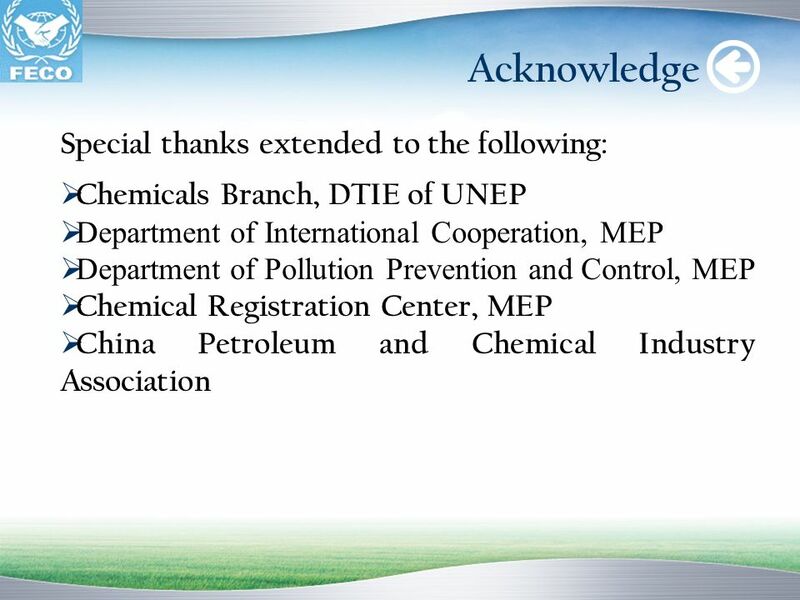 Notification requires： Increased awareness of the importance of pollution control in carbide PVC production Promotion of low Hg catalyst and effective reduction of Hg emissions Tighter environmental management and strengthened monitoring measures Strengthened policy support and supportive measures Increased role of industry association in education and training. 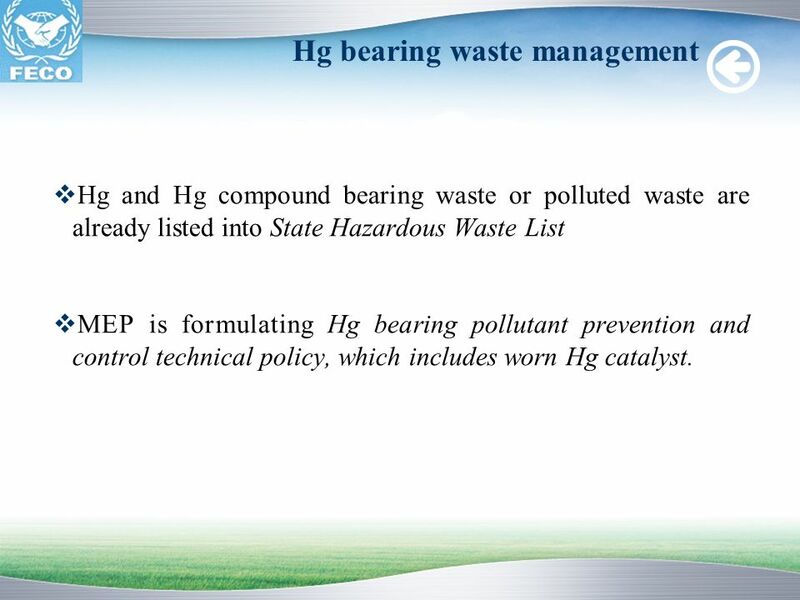 Hg and Hg compound bearing waste or polluted waste are already listed into State Hazardous Waste List MEP is formulating Hg bearing pollutant prevention and control technical policy, which includes worn Hg catalyst. 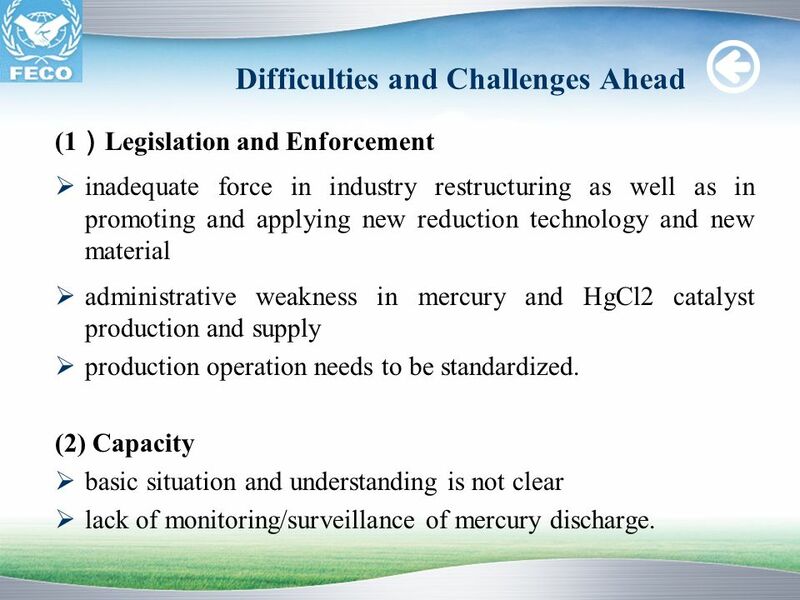 (1）Legislation and Enforcement inadequate force in industry restructuring as well as in promoting and applying new reduction technology and new material administrative weakness in mercury and HgCl2 catalyst production and supply production operation needs to be standardized. (2) Capacity basic situation and understanding is not clear lack of monitoring/surveillance of mercury discharge. 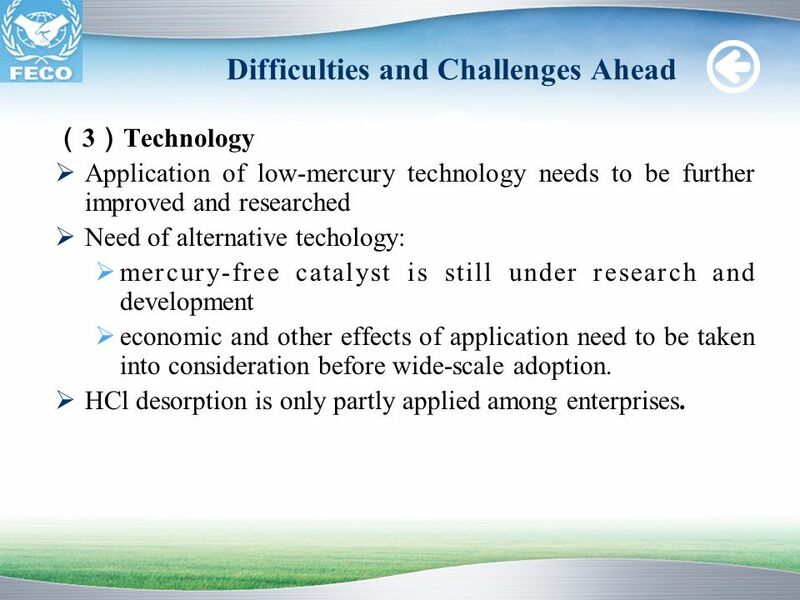 （3）Technology Application of low-mercury technology needs to be further improved and researched Need of alternative techology: mercury-free catalyst is still under research and development economic and other effects of application need to be taken into consideration before wide-scale adoption. HCl desorption is only partly applied among enterprises. 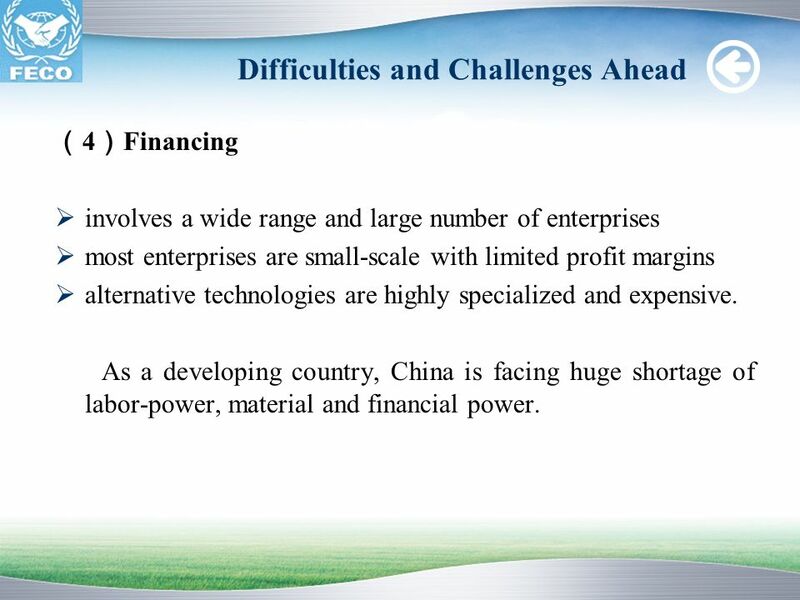 （4）Financing involves a wide range and large number of enterprises most enterprises are small-scale with limited profit margins alternative technologies are highly specialized and expensive. As a developing country, China is facing huge shortage of labor-power, material and financial power. 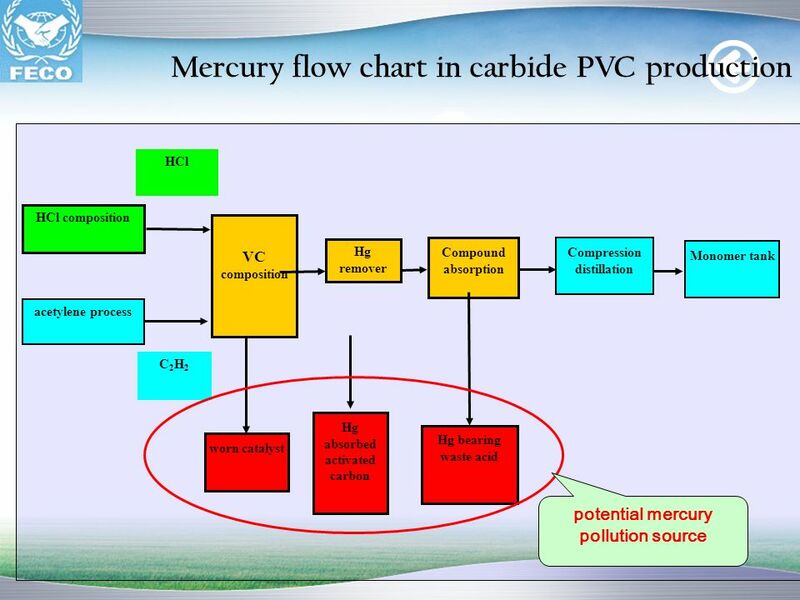 Phase1 (Jan 2010~Jan 2012) Activity 1：Raise understanding of mercury pollution risks amongst local environmental protection bodies and industry. Activity 2：Develop emission inventory. Activity 3：Study the evaluation and application standards of low-mercury and non-mercury catalyst. Activity 4：Set up reduction plan and targets across PVC industry. Phase 2（Jan. 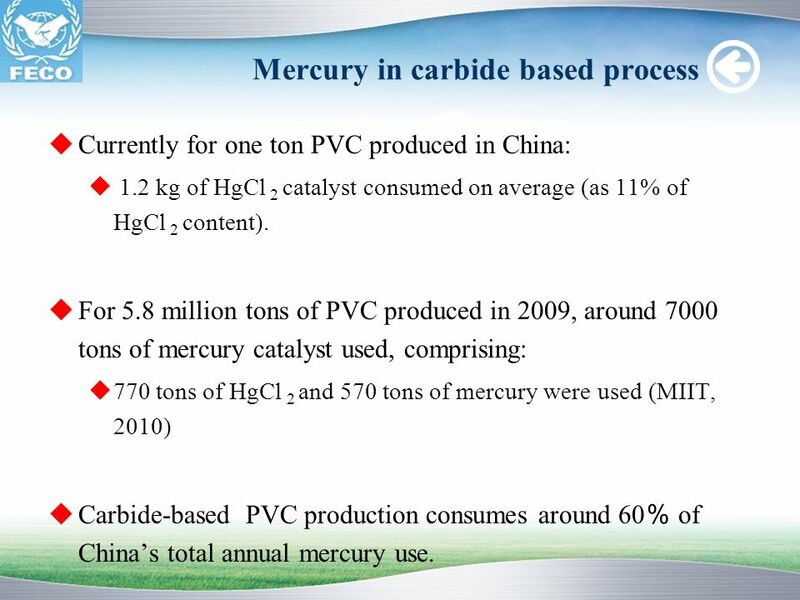 2012~Dec.2013 Activity 5: Research mercury alternative technology and pilot application, apply mercury reduction measures and standardize administration. Activity 6: Initiate assessment and operation guidance for above. 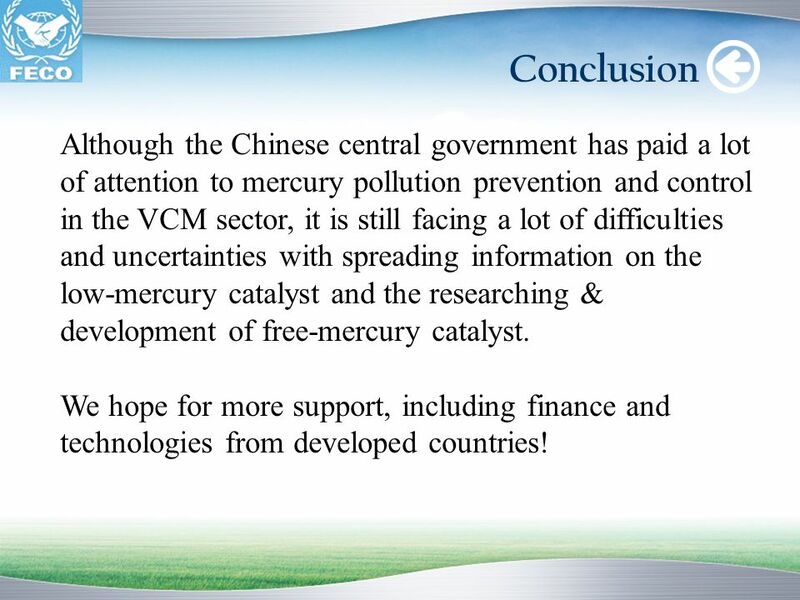 24 Conclusion Although the Chinese central government has paid a lot of attention to mercury pollution prevention and control in the VCM sector, it is still facing a lot of difficulties and uncertainties with spreading information on the low-mercury catalyst and the researching & development of free-mercury catalyst. We hope for more support, including finance and technologies from developed countries! 26 Thank you for your kind attention ! 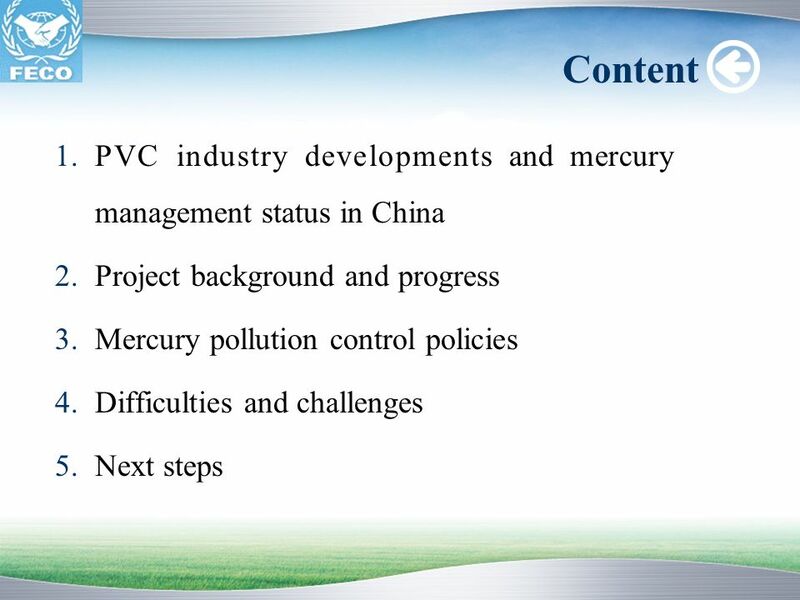 Download ppt "Feasibility study on China‘s mercury-free catalyst R&D"
Development of Technical Guidelines on the Environmentally Sound Management of Mercury Waste Under the Basel Convention Ibrahim Shafii Secretariat of the. © 2008 Aker Solutions Working together on a mercury-free VCM catalyst INC3. Nairobi. 30 October 2011. 1 EU Strategy for the Baltic Sea Region Anders Lindholm European Commission DG Regional Policy, Territorial Cooperation. IEE/10/380/SI CONURBANT Kick off meeting, Vicenza May 30/31, 2011 CONURBANT An inclusive peer-to-peer approach to involve EU CONURBations and wide. 2010, 15th July Hong Kong Convention How to use IHM at SRFs M.Sc Beyza Doyduk – Global Practice Ship Recycling. Setting a New Course for Electricity in Ontario Presented to the WNA Annual Symposium by Milton Caplan 2004 September 8. ECENA Exchange Programme First Plenary Meeting 19-20 January, 2006 Zagreb, Croatia Update on strengthening the implementation and enforcement of EU environmental.